Join Lynne & Martha at the Blowing Rock Conference Center, Monday through Thursday, June 17-20, 2019 for our next Special Days. Our theme will be Safari Into God’s Grand Kingdom. This year we celebrated Under the Big Top of God’s Love. 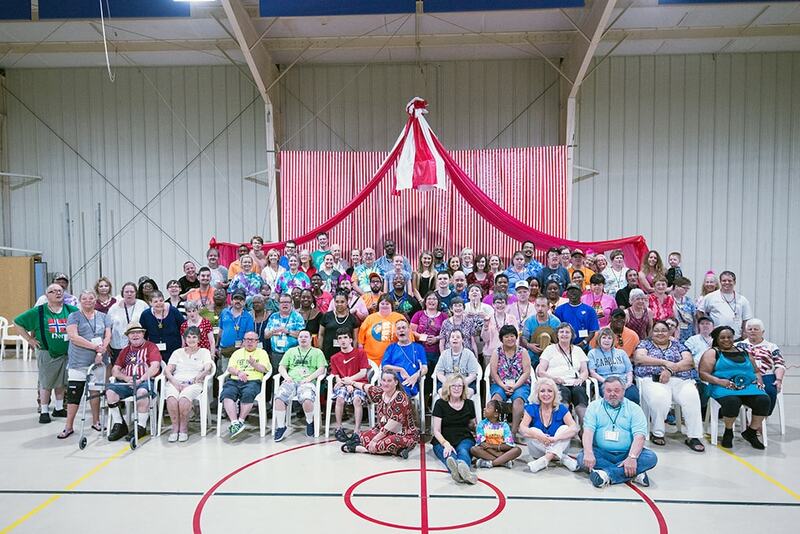 We made tie-dyed tee shirts, enjoyed Mark Lippard Ministries amaze us with his juggling and riding unicycles. We had many great performances for our Talent Show. And Ted Oglesby is the best DJ for our dance on our final night. For the last 39 years the Blowing Rock Conference Center has conducted “Special Days” each June. 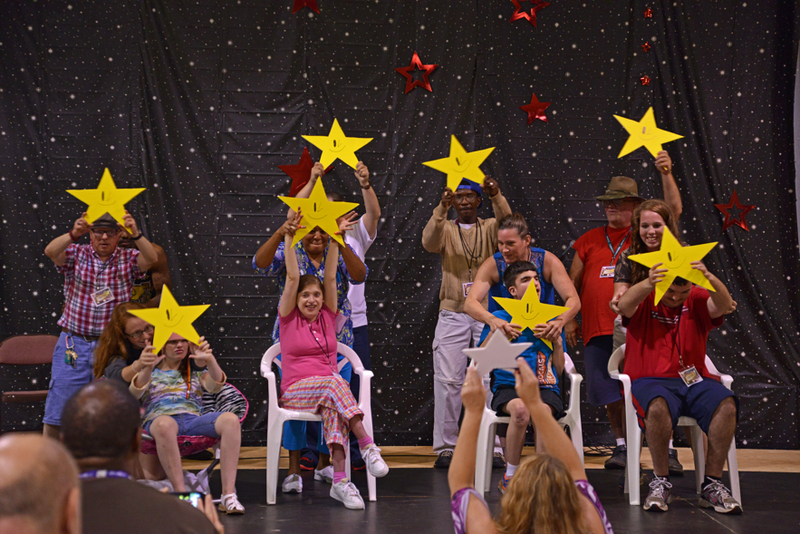 The camp is for adults (18 years and up) with developmental disabilities. The participants are required to have caregivers to attend the event with them. 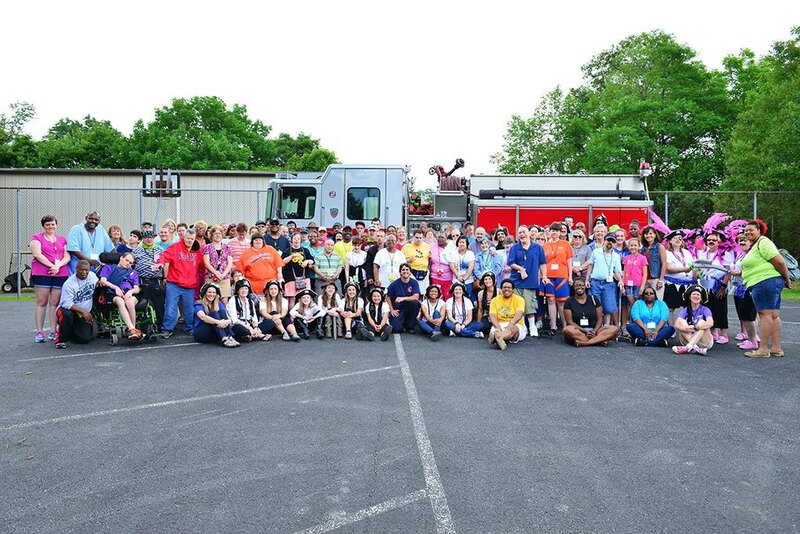 Last year we hosted 80 participants, representing six different agencies. We will have talented guests performing for us, an opportunity to make a special craft to go with our theme, as well as the wonderful blessing of being with lots of your friends from across the state. Lynne will open each day with devotions that will encourage all of us. We’ll have our annual talent show on Wednesday morning and our dance that night!. So make your plans now! The cost this year will be $185 per person. It includes lodging, food, and all the activities and crafts. Lynne Hinton has been leading Special Days for twenty years. She lives in Whitsett, NC and says that this is the best week of her year. Lynne is Co-Pastor of Mount Hope UCC in Whitsett. She is still writing books and you can keep up with her on her website, www.lynnehinton.com. We could not accomplish all these events without the most wonderful volunteers. This year we had twenty four volunteers. Most have been coming for several years. Once you have volunteered – you just mark your calendar because you don’t want to miss out on this wonderful time. We are also very grateful to the donors who sponsor participants that could not otherwise attend. 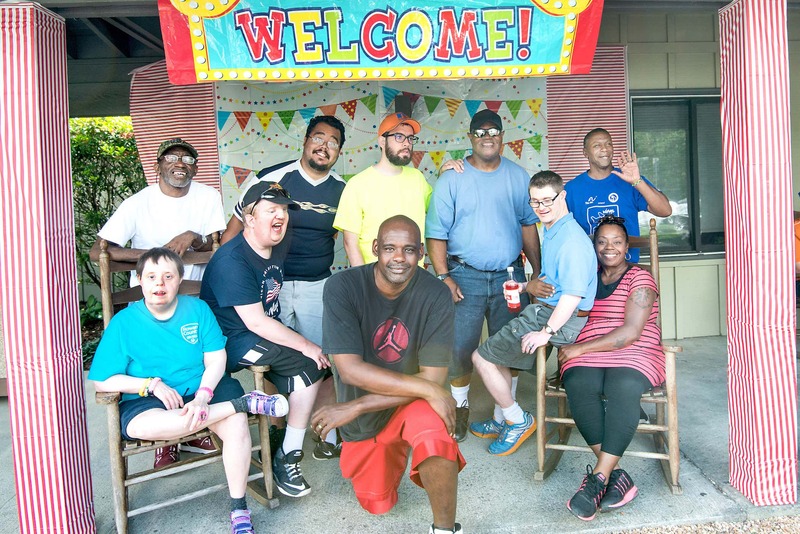 Due to the Federal and state budget cuts even more Group Home’s funding has been drastically reduced. Our goal is to be proactive and strive to fund two people for each group home. This year, thanks to generous gifts, we were able to sponsor 12 participants, with 74 particpants attending. . If you would like to sponsor a participant, or donate towards the programming, please use the form below to contact Martha Shore. Your gift is tax deductible.